Maternity Sessions take place right around 32-36 weeks. Browse our client closet or have a custom gown provided just for your session! We offer in studio as well as on location and multiple outfit changes! We also provide a belly casting to photograph your little one in. Once the newborn session is complete, you will take it home to keep! The first 48 hours of your little ones life are so important. They will change so much by the time you bring that little love bug home and this mini session captures that special time. I will travel to your hospital and photograph your new bundle of joy before you head home! 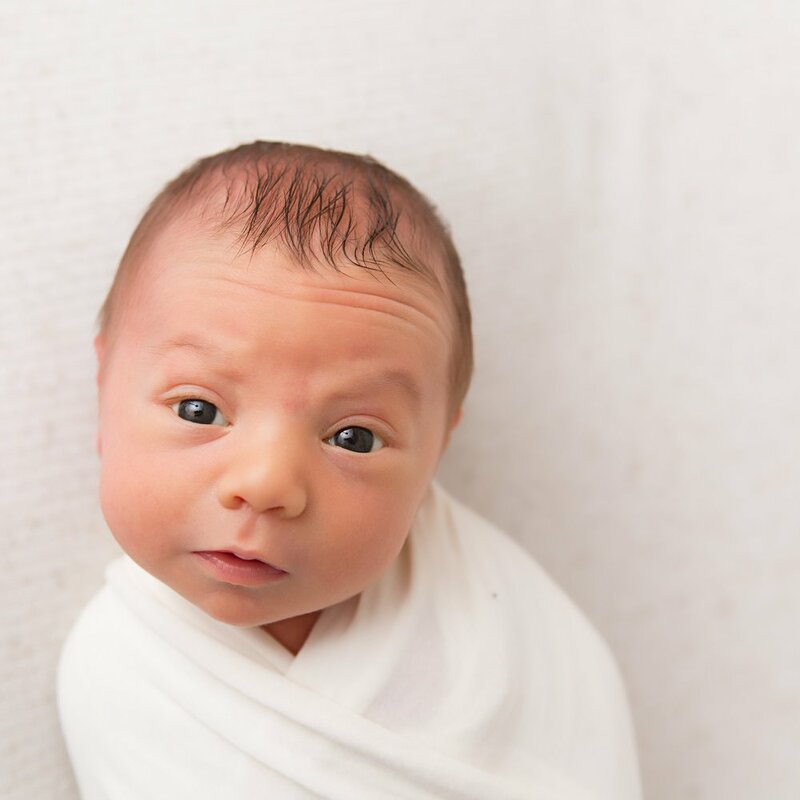 Newborn Sessions take place either in studio, or lifestyle in your home. All inclusive, we provide every outfit, prop and backdrop! This session lasts between 3 and 4 hours. We will start with photographing the whole family. If there are siblings to be included in the session, please contact us for more information. Baby-only portraits, taken with one backdrop and 1 prop of your choice. Session lasts 1 hour, for this reason we will not have an outfit change. Perfect for moms just needing a quick session. Milestone sessions are done at 3, 6, and 9 months. We capture all of the changes in your little one, from the first tooth peeking out to the standing stage! You will have these memories captured professionally to keep forever. Every outfit is made specifically for your session, so you do not need to think about what the little one will wear. Just bring your sitter, crawler, or stander in and lets capture it! What a fun way to celebrate this milestone for YOU and your little one! Nothing says happy birthday like a messy baby, and why not let someone else deal with the mess?! Don't worry, first we will do the portraits, followed by the cake smash, and end with the perfect bubble bath to make sure your little one goes home all clean! This plan includes your choice of a maternity or fresh 48, full new born, 3 months, 6 months, 9 months, and 12 months. All are customized sessions with outfits and props provided. To top it off, a complimentary family mini session is provided in year two! Limited number of baby planners are welcomed each year to ensure ease of scheduling for your connivence. To invest in the baby plan, a deposit of $300 is due to hold your space for the year and $220 due at the time of 3, 6, 9, and 12 month sessions. Dugan Imaging provides Indianapolis with a unique family portrait service! With each full family session, I help you style every outfit with a style guide and provide you a list with all my favorite locations. Locations around the Indianapolis area include both indoors and outdoors options! Rain or shine, your family portraits will be stunning! We will take as much time as we need as I do not have a time limit for my family portrait sessions. Digital images are included in this package with printing rights.